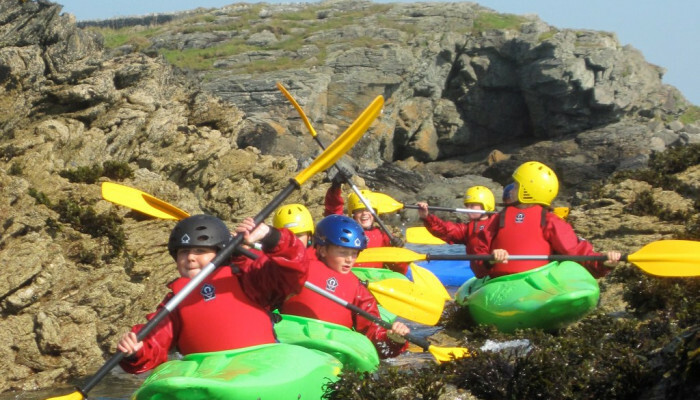 Rhoscolyn is a fantastic place to kayak. Whether you want a fun taster session, introductory course, or an adventurous day out exploring the coastline with an experienced local guide. There is kayaking within easy reach for all levels of ability with sheltered bays and beaches, classic sea-touring, tide-races and overfalls, surf, and daily moving water at the Inland Sea. The coastline is stunning, and attracts international visitors on a regular basis. There are caves, inlets, coves and beautiful beaches. There is plenty to see, with stunning rock scenery and seals and sea-birds in profusion on the outlying stacks and islands. Snowdonia and the Llyn Peninsula provide a wonderful mountain backdrop to many of the trips. 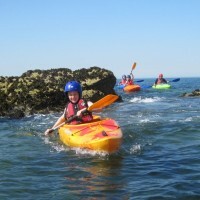 A fun opportunity to learn a new skill while exploring the fabulous Anglesey coast. Two and a half hours long, all equipment provided. Maximum group size 8. 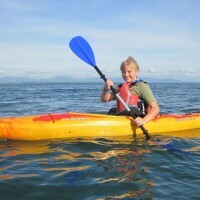 A course for those that have always wanted to try kayaking but not known where to start, this course will teach you the basics you need to go on and explore further.